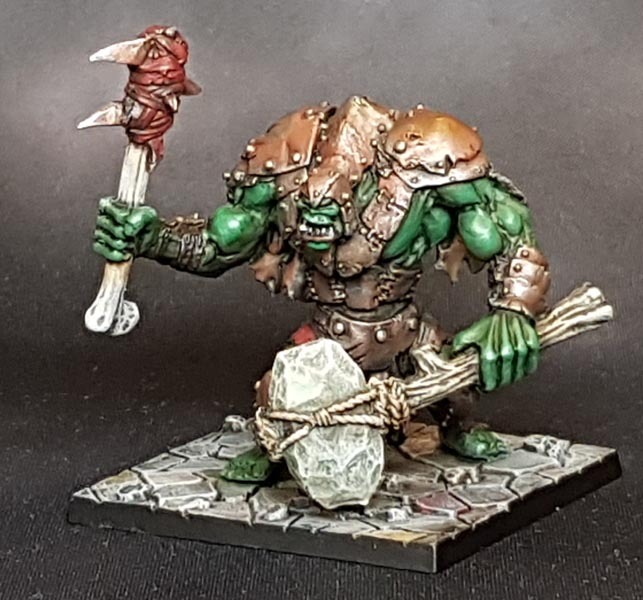 It’s Orctober! 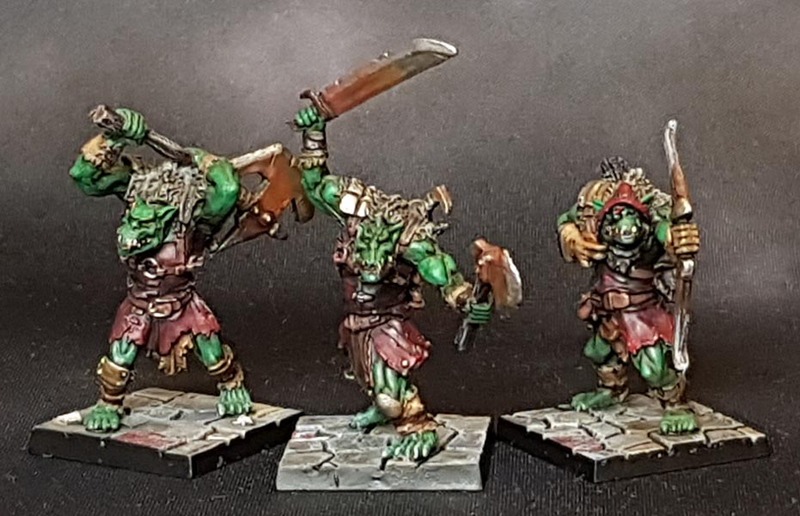 Cue token painting of some random orc minis…luckily the next in line from the bobbybox are the rest of the Dungeon Saga Orcs and Goblins. The orclings and the mawbeast were done earlier. Here is the rest of the set. 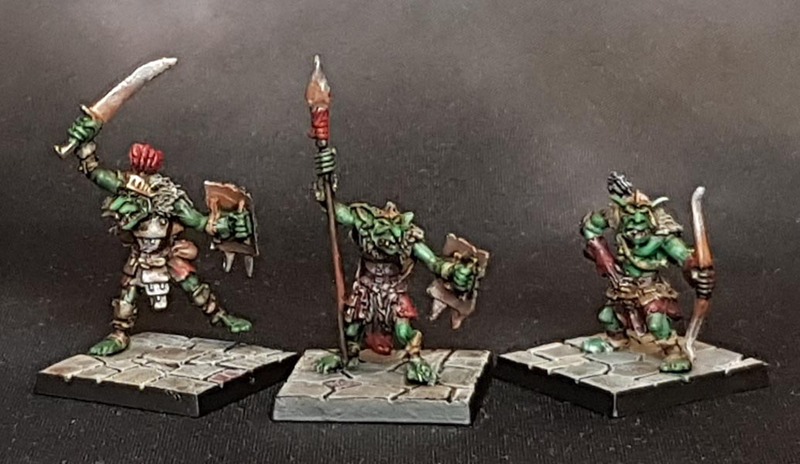 Did them in gworc green and did not bother with colour variations here, as I have three more sets of these still unpainted from the original Dungeon Saga Kickstarter, and I will do each set in a different scheme. This wraps up the Dungeon Saga minis from the Bobbybox, leaving some Kings of War Dwarves and some Mars Attacks! specialty minis left to do before the journey towards the dark side Bobbybox will be complete! Very nice work here I particularly like the rusty Metals and the dirty Furs. They really bring the models to life.